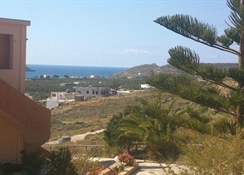 The friendly family-run Kritikos Asteras Apartments are in the village of Analipsis, 12 miles east of the city of Iraklion and three miles west of Hersonissos. 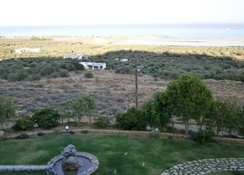 The apartments are surrounded by greenery and are a 15 minute walk from the clear blue sea and the nearest sandy beach. Analipsis is small village with an excellent sandy beach and plenty of sport activities including jet skiing, windsurfing, beach tennis and beach volleyball. 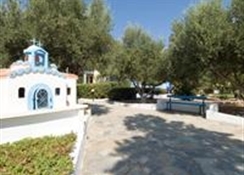 Shops, restaurants, cafes and bars can be found on the attractive Analipsis waterfront. 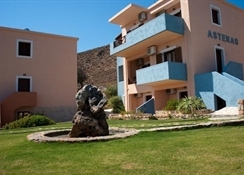 The Kritikos Asteras Apartments has 35 rooms split between two separate buildings and all have en-suite facilities and a balcony or terrace. Of the 35 rooms, 12 are studios, 18 are one bedroom apartments and five are two bedroom apartments Kitchenettes are offered in all apartments. 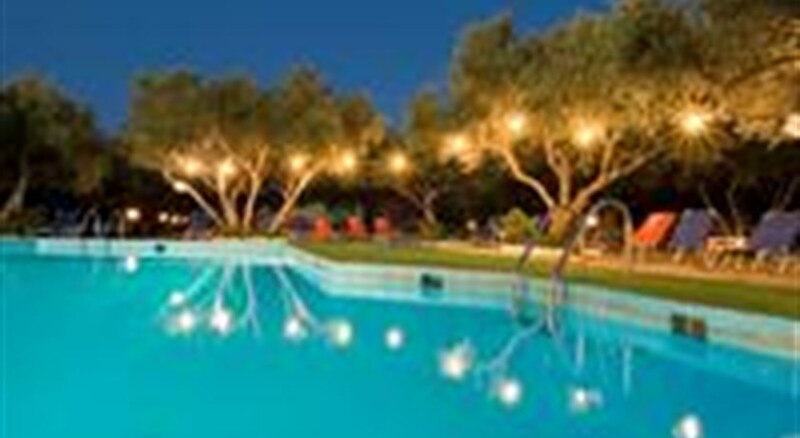 In addition to the comfortable room facilities, the Kritikos Asteras Apartments also has a swimming pool and children’s pool, a breakfast room and dining room, a poolside bar and children’s playground and parking for those deciding to hire a car whilst on holiday in Crete.